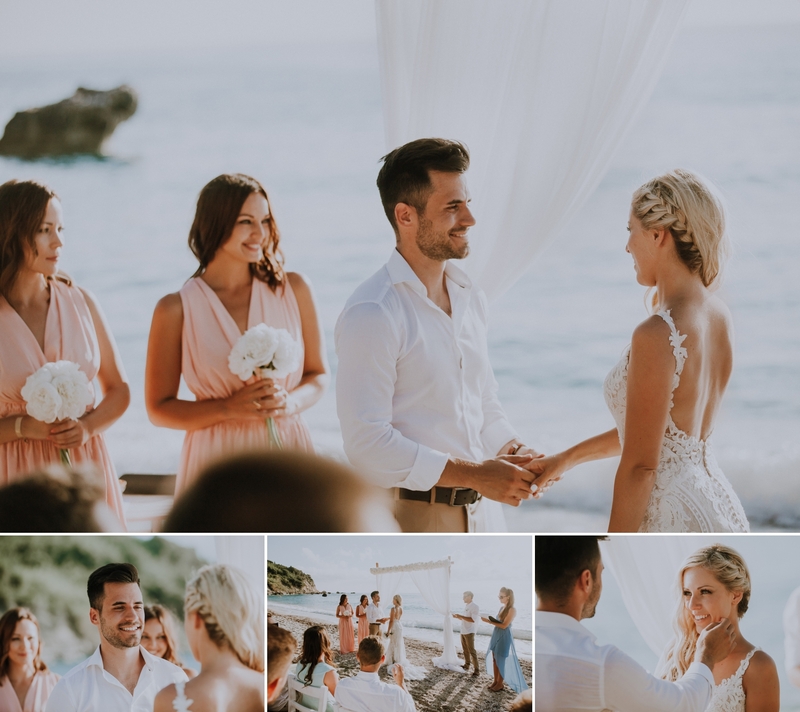 Lefkada was chosen as the ideal island for Csilla&Zsolt’s wedding and the pure yet glamourous style fitted perfectly with the Ionion’s blue. 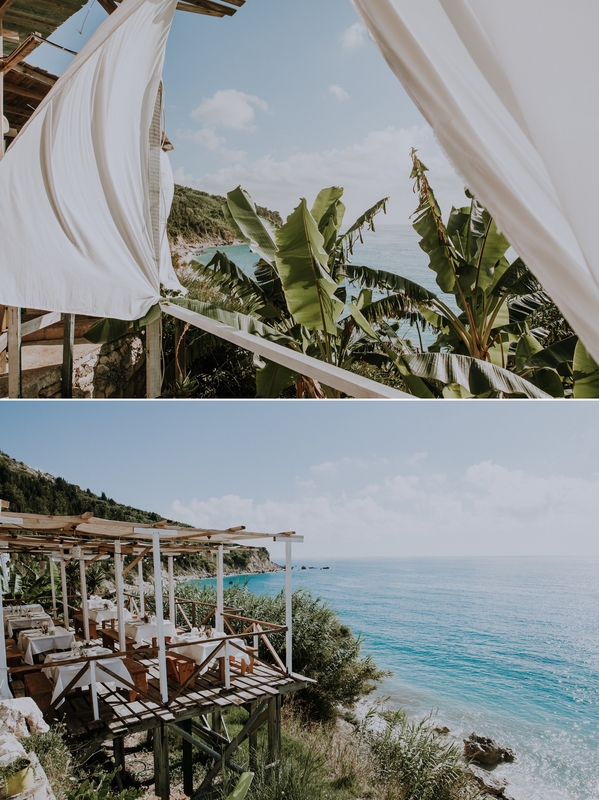 Csilla and Zsolt hasn’t been to Lefkada before arriving here with their 25 guests. 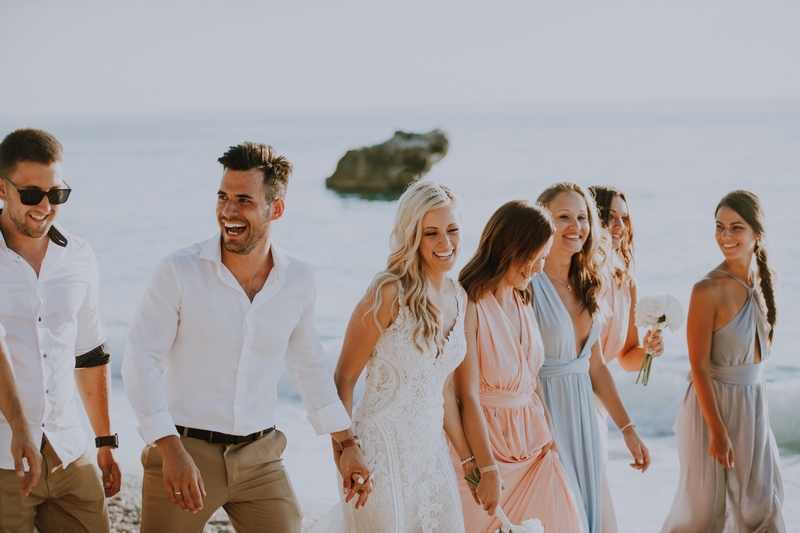 What is wonderful about a destination wedding is that the bride, groom, families and friends spend more than just the event time together. 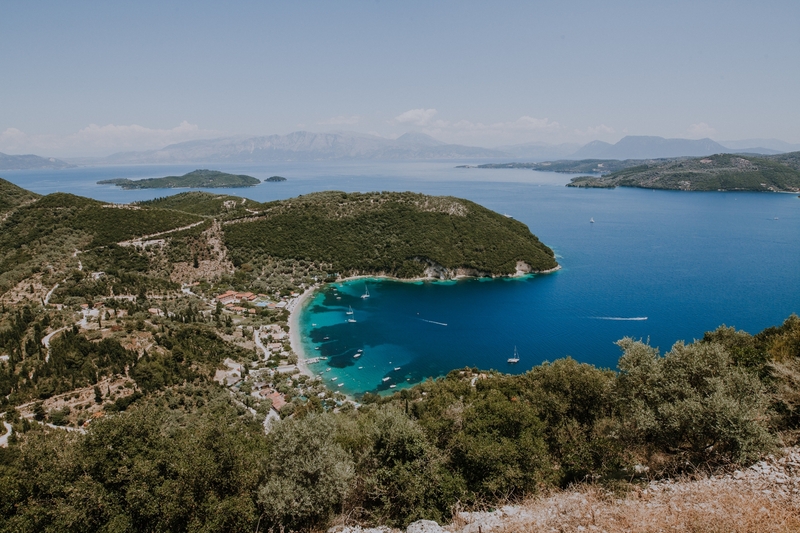 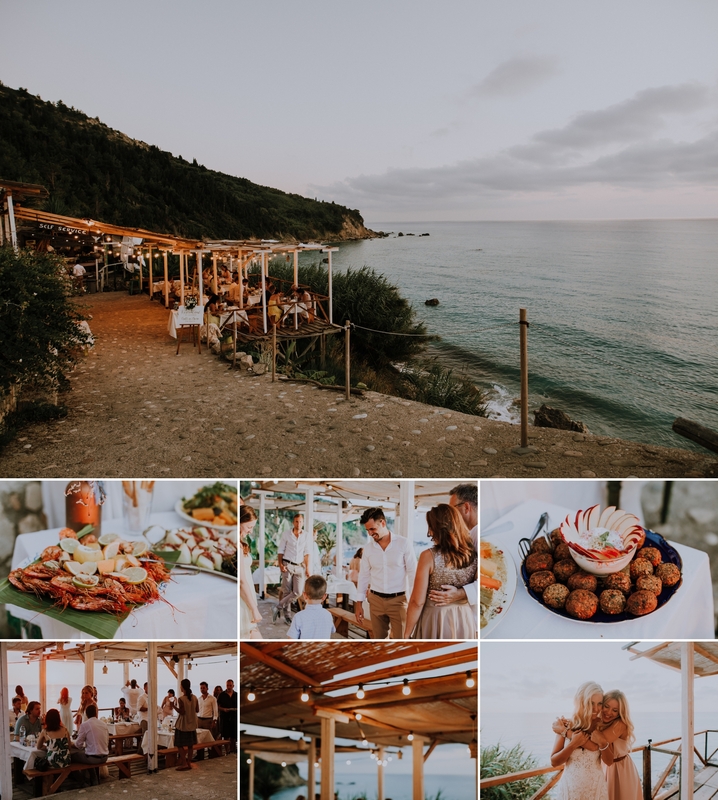 They stayed in a hidden villa nestled on the hilltop of Dessimi overlooking the Ionian-sea and picked Avali beach for their wedding venue. 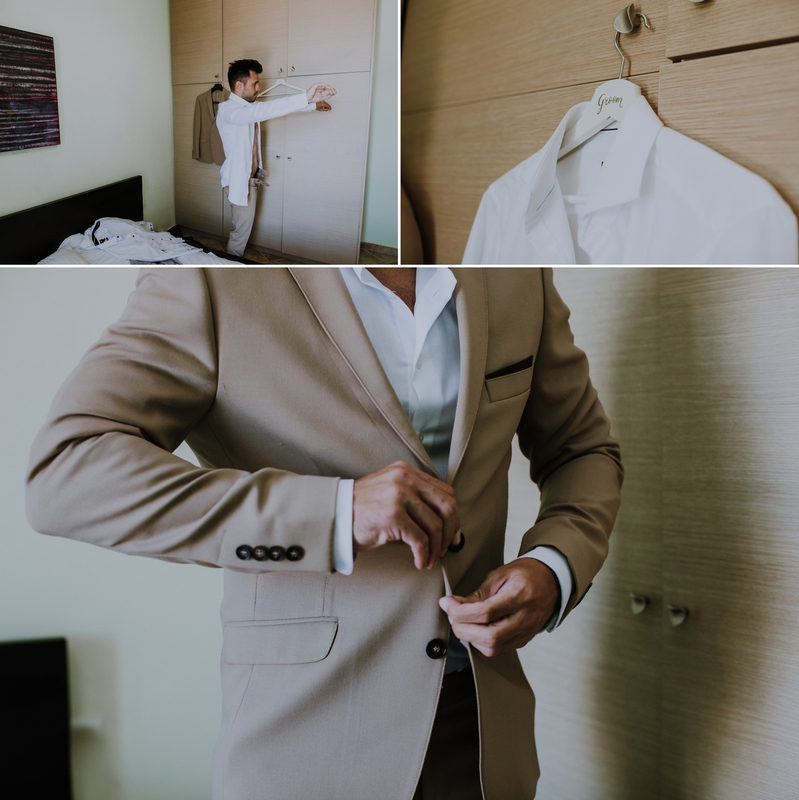 He wanted something simple and she wanted something glamorous but both wished to keep their wedding private and intimate. 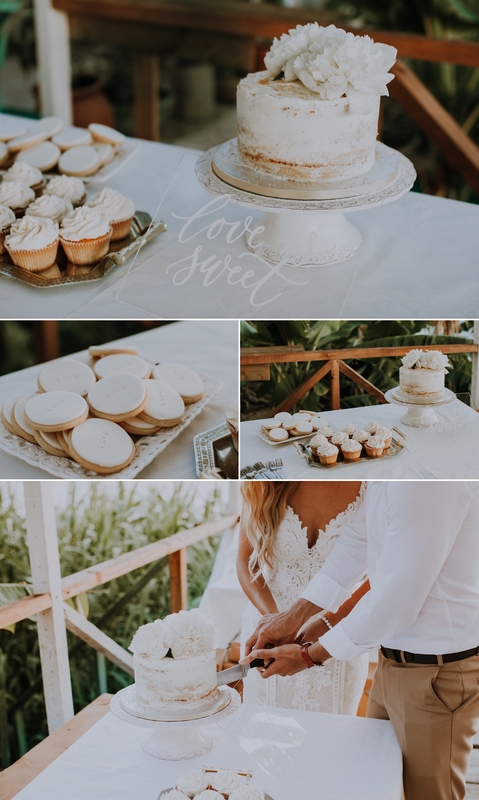 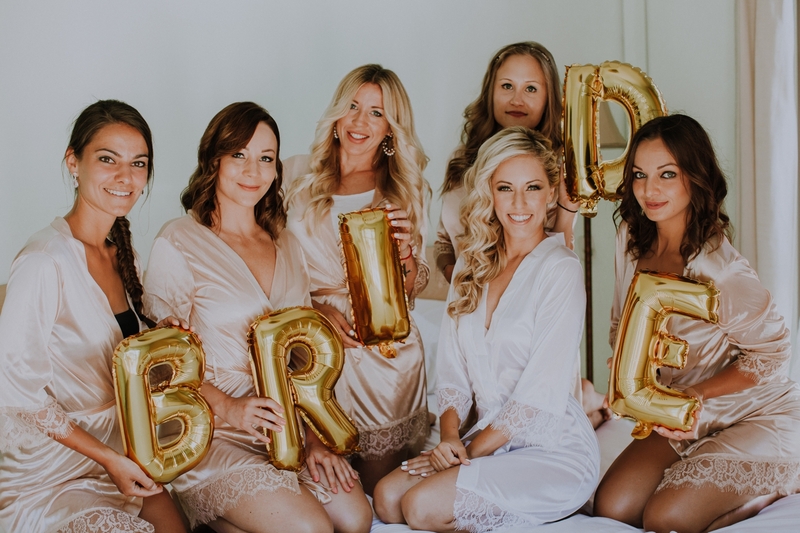 We believe that good styling is a way of creating atmosphere reflecting your personality and making you feel comfortable on your day therefore we aimed to melt together the requests coming from both parties. 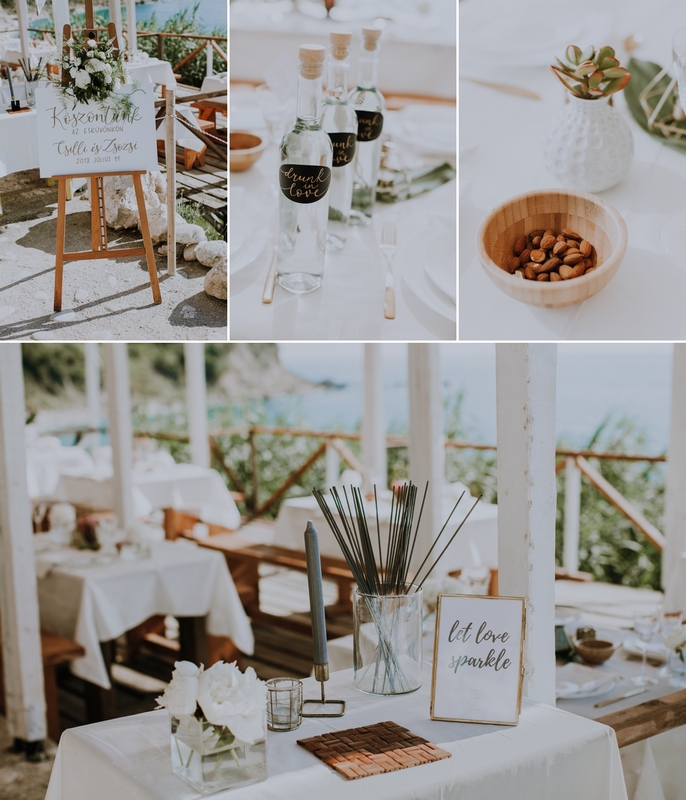 For weeks we’ve been planning and working out all details with Csilla and little by little, all the puzzle pieces finally came together and they could see the whole picture. 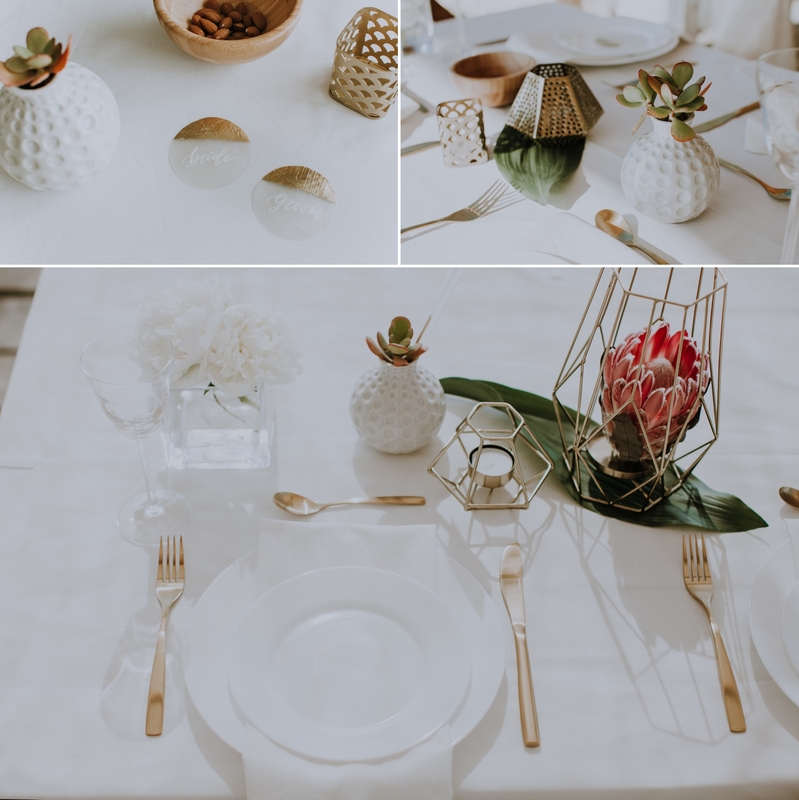 We love designing with contrasts as it results more refined outcome: we combined natural materials and textures harmonizing with the vibes of sourrunding nature (leaves, wooden element, Protea) and added contrast with minimalist yet elegant details as hand-written calligraphy, gold cuttlery or gold and airy glass items. 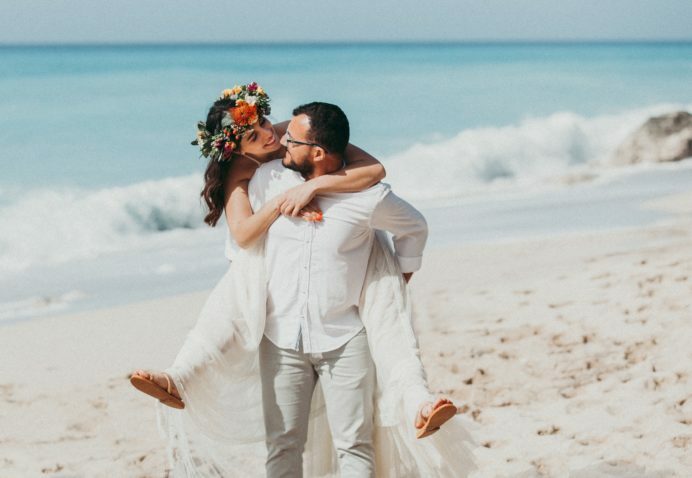 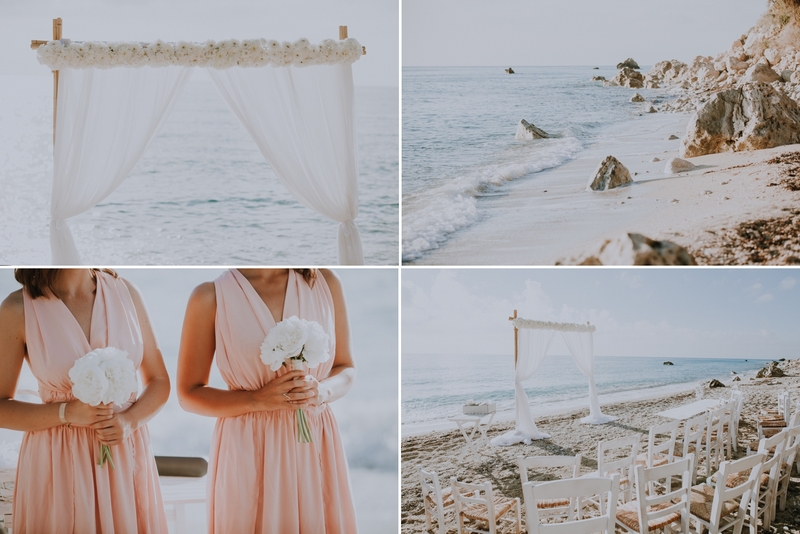 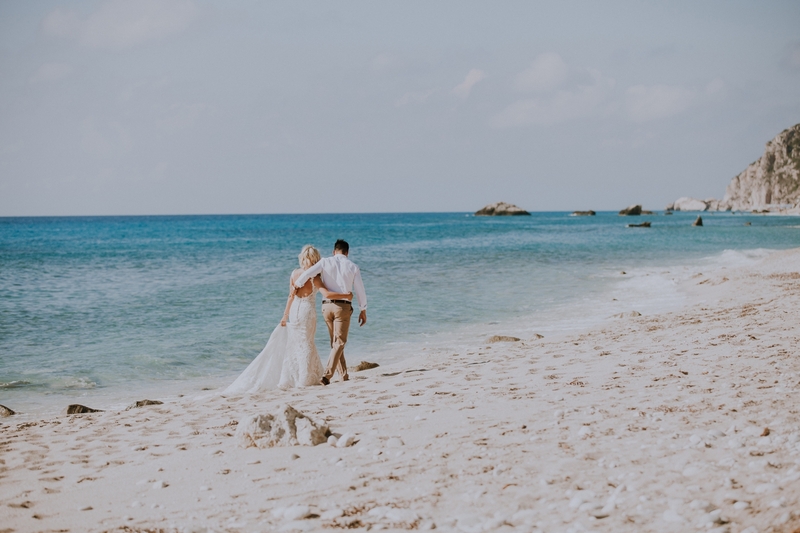 This beautiful wedding had bright color palette and elements of gold made bold contrast to the lovely blue sea, sky, and sand and stones on Avali beach. 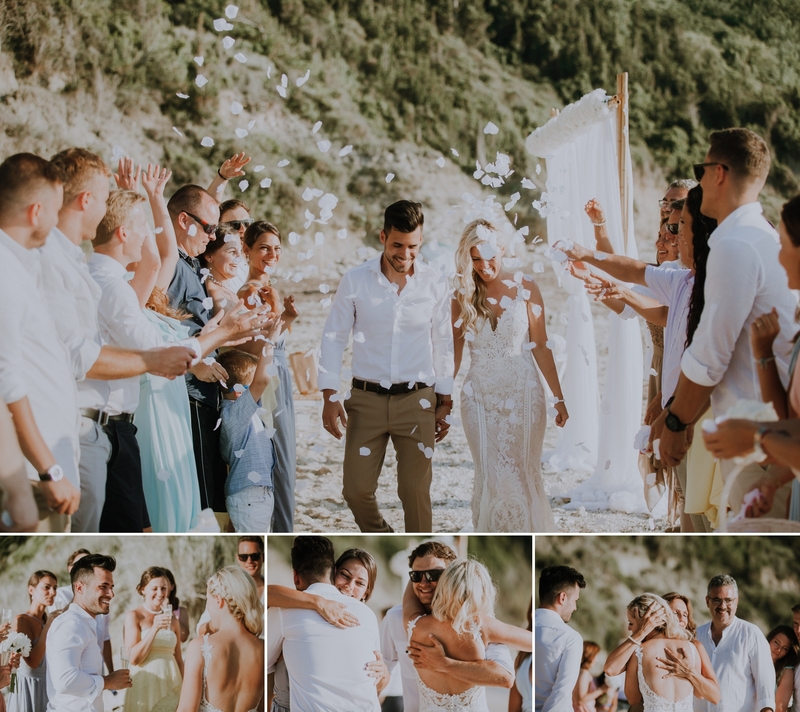 Having white peony bouquets we achieved some classy and delicate look with their lush shape and soft, romantic petals. 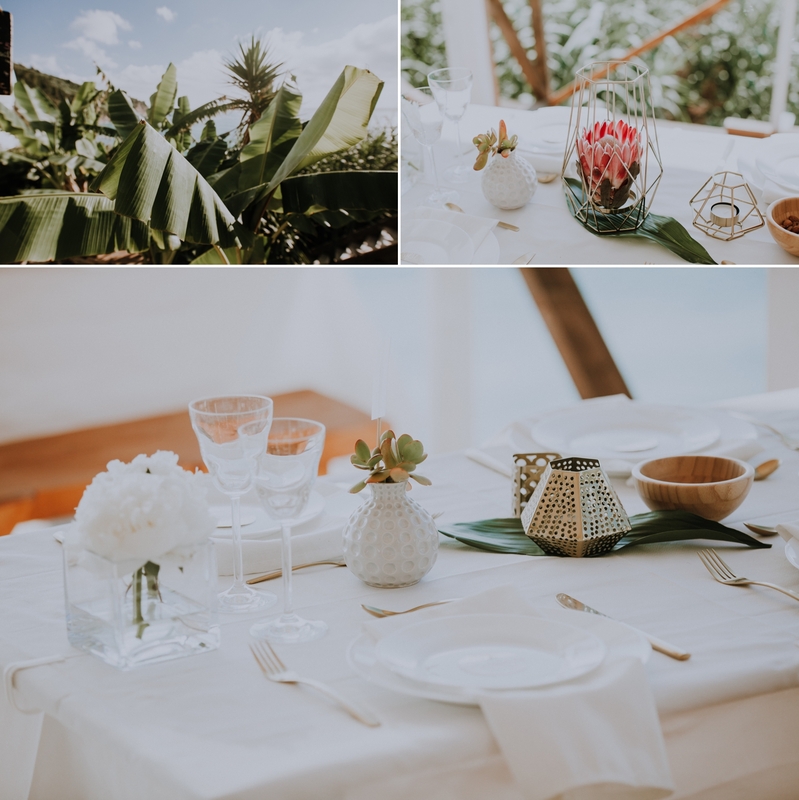 While we kept bridal bouquet simple, we used a unique statement flower, king protea on dinner table to add a visual twist to the minimalist table setting. 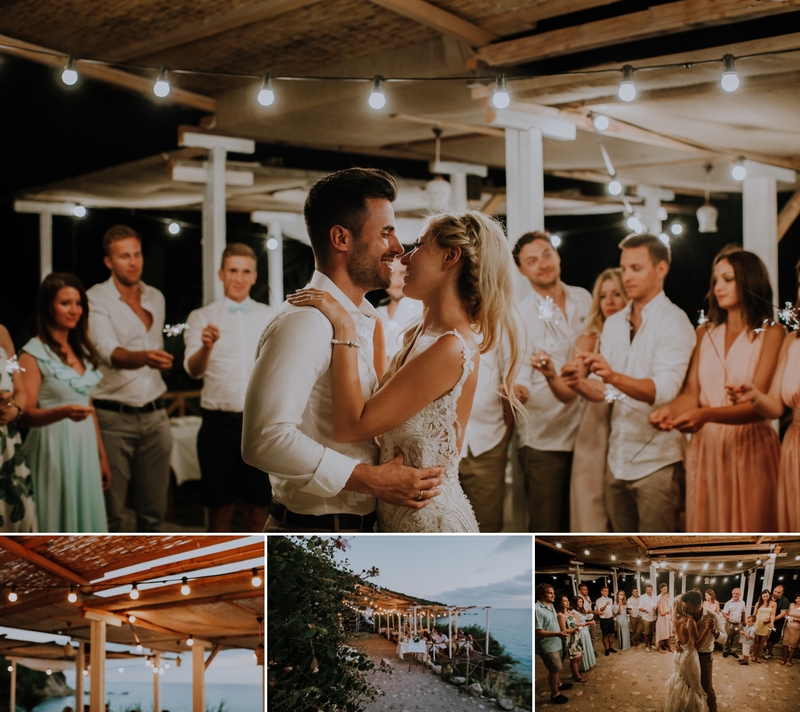 We were happy to add some shine to the dinner with tungsten coloured lightbulbs creating ambience and adding warmth to the place… good lighting is really the jewelry of a space. 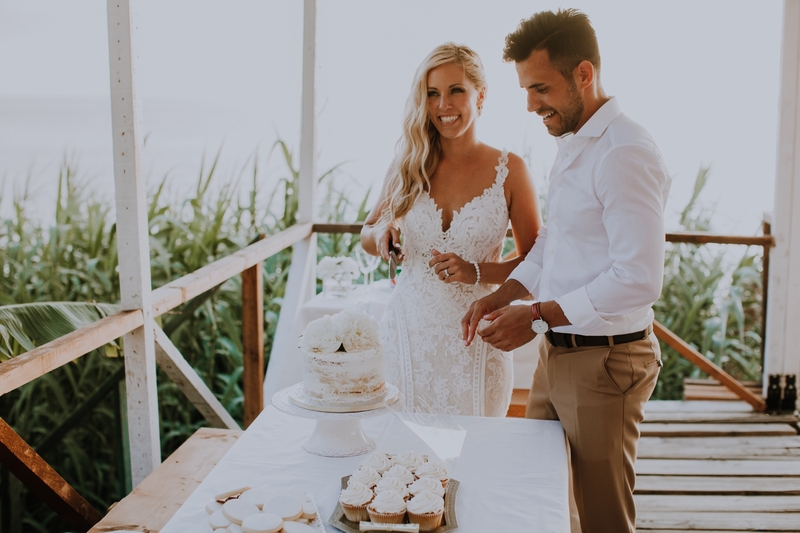 Having an euphoric message next day from the newlyweds means it was worth every minute spent with this wedding.